1. Retrieving your enrollment id number. 2. tracking your Aadhar card status using the enrollment number. This post will completely familiarize you with both the steps that need to be carried out on the UIDAI portal to track aadhar card status by name. Learn how to apply for aadhar card online. There is already an up to date guide on how to check UIDAI status online. This post will guide users to know their Aadhar card status by name and by number. It will be extremely helpful to know how to track Aadhar card status and retrieve the enrollment id number. The enrollment ID is usually given at the time of the application & it is essential for obtaining UID number. You need not to worry if you have lost or misplaced your enrollment ID receipt issued to you at the time of Aadhar card application as there is an option to check Aadhar card status by name at the UIDAI portal. You will find below the elaborated step wise procedure to track UID status by name. Follow the guide and you will know the status of your Aadhar card application even without the 14 digit enrollment receipt number. 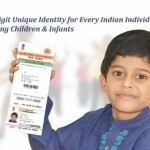 Go to the official website of UIDAI. Click the “Check Aadhaar Status” button. Select the option of enrollment ID Number. Now provide the required information like your full name, date of birth, mobile number, email ID, etc. Enter your full name exactly the same as you have provided in your Aadhar Card application form. Proceed further by entering your registered mobile number/email ID. Enter the security code in the given box. Click on the below tab of ‘Get OTP’. (OTP stands for one time password here) and proceed with the step 2 as soon as you receive the OTP on your phone or mail id. You will immediately receive OTP on your mobile or email address within few minutes. Type this OTP in the given field of ‘Enter OTP’. Click on the ‘Verify OTP’ button. You will now receive your Enrollment ID/EID/Enrollment number on your mobile or email id. This is the Aadhar card status tracking page of UIDAI. As now you have already retrieved your enrollment id number, enter it along with the issue date and time. Type the Security Code as displayed on the screen. 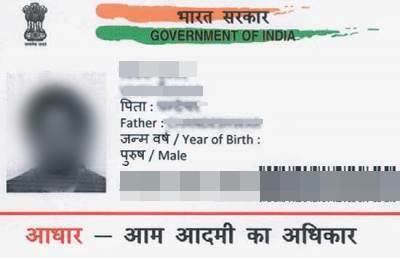 If you have already been allotted the Aadhar Card no., it will be displayed on the screen. In a move to streamline the Identity of the Indian citizens, Government of India launched Aadhar Card in the form of a 12 digit individual identification number. This number is issued by the Unique Identification Authority of India (UIDAI). Though it is not mandatory to hold Aadhar card, it has widely gained importance as one of the important proof of identity required at various governmental and non-governmental offices. Validity of Aadhar card is life time and hence it does not need any renewal. It will not be difficult for anyone to retrieve the Aadhar card enrollment id number and track their Aadhar card status by name online after going through this post. In case you need Aadhar card to submit at any place and you have forgotten to carry it, e-Aadhar card is the best solution as it is also valid everywhere just like the original Aadhar card. ipancardstatus provides all the necessary information related to the government documents. We have also posted other useful information on tracking pan card status and pan card details besides online Aadhar card status by name. APPLIED FOR CHANGE OF DATE OF BIRTH WHICH WAS WRONLY PUBLISHED. TO 7TH AUG 1982. Awaiting reply for filing income tax return. My Adhar Card is lost and having any adhar number and not a copy of adhar please help me to find,it is mentioned as my below name Arvind Laxman Korde. I have a no msg of my aadhar card.